Honest online casino values ​​its reputation! Fast development of online gambling industry brings both positive and negative consequences for players. On the one hand, there is fierce competition, which forces online casinos to provide fantastic jackpots, generous bonus packages, and so on. On the other hand, there are a lot of fraudulent casinos that instead of providing high quality services are trying to swindle out players` money by all means. This article offers several tips to help you distinguish between an honest casino and a counterfeit set to pump money out of unsuspecting gamblers. At your fist visit pay attention to online casino design. Rogue casinos don`t put much money and effort into their website design. They tend to abound in grammar mistakes, which can be found even at their home page. Reputable online casinos spare neither money nor time to provide an appropriate site indicating their high rank and credibility. Make sure the casino`s home page has a logo or a mark of some reliable and trustworthy authority, which specializes in online casino auditing and certifying. Click the logo to go to the authority`s site and check if the casino is really registered there. One of such testing facilities – COGRA – is recognized in most countries of the world. COGRA audits casinos and certifies that their online gaming operations are fair, secure and auditable. If the online casino site doesn`t provide information on a license or other authorizing documents, try to make an inquiry into the customer service. Honest casinos don`t conceal this information from their customers. Well-established online casinos don`t irritate their customers with endless spam and flashy advertisements. This is typical of cheaters set up to grab benefits by all means. 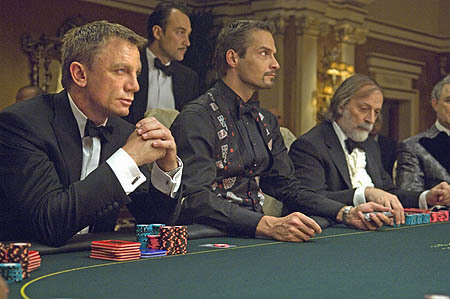 Surf the Web for special sites which specialize in evaluating online casinos and exposing rogue gambling establishments. These sites provide casino blacklists, complaints of cheated customers, and the latest frauds in the online gambling industry. Not all the information can be considered reliable, though. However, if a casino has ended up in more than one blacklist, it should be avoided.